Many conditions can cause pain and stiffness in the thumb, hand and wrist area. 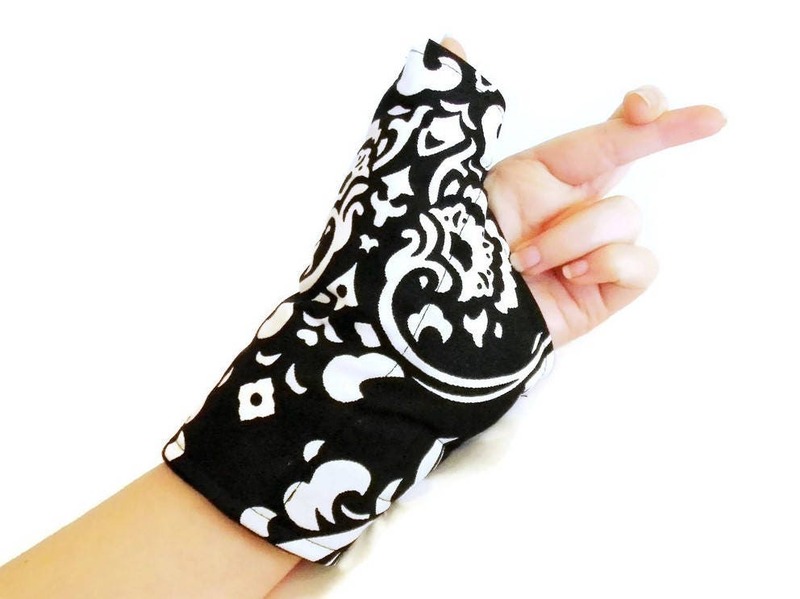 Our exclusive wrist and thumb wrap provides soothing heat to relax sore muscles and tendons. It can also be used as a mild cold pack when needed. 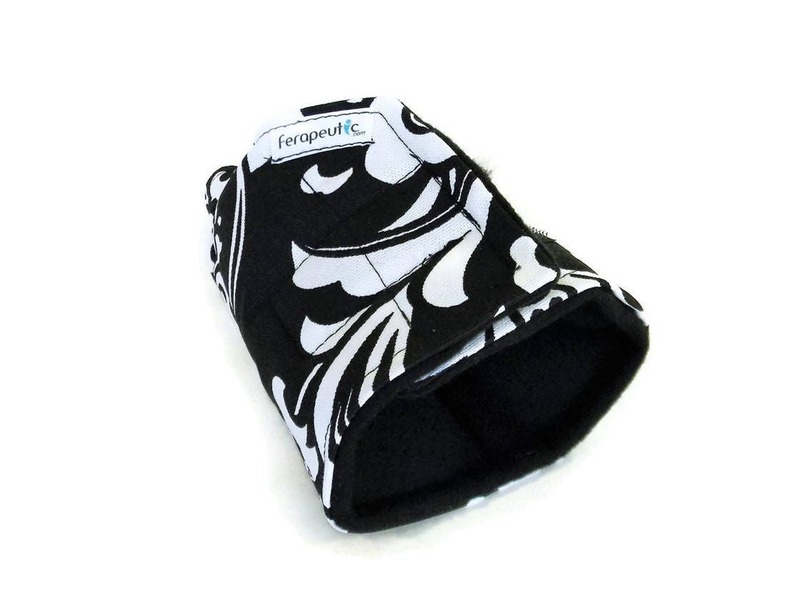 Wrist thumb wrap fits the right or left hand and is secured with Velcro for a comfortable fit. 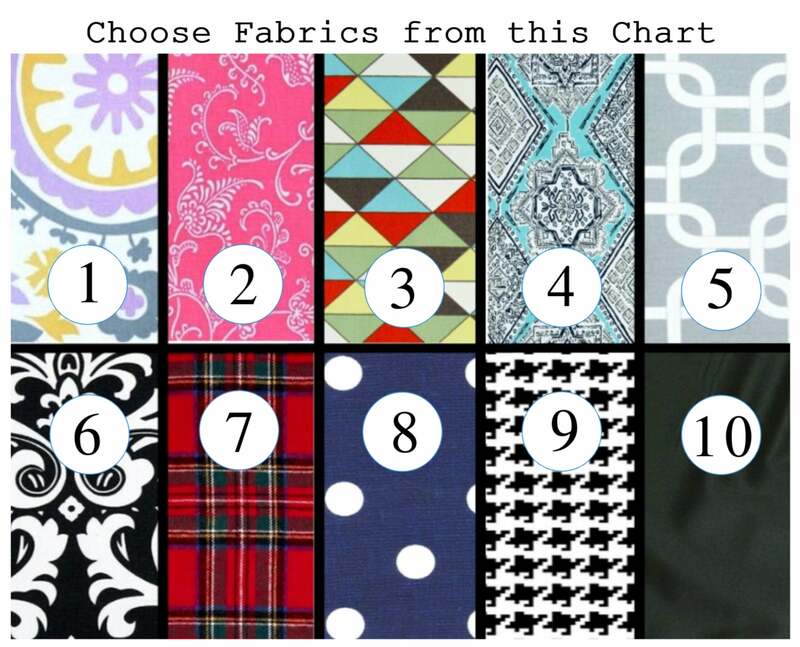 Warm in the microwave to use as a heating pad or chill in the freezer to use for cooling. 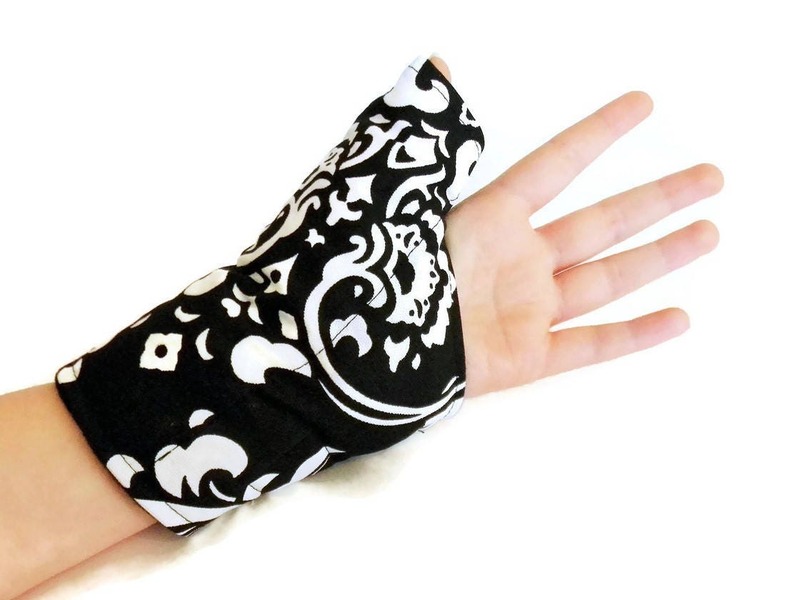 We fill our wrist thumb wraps with rice and flax. 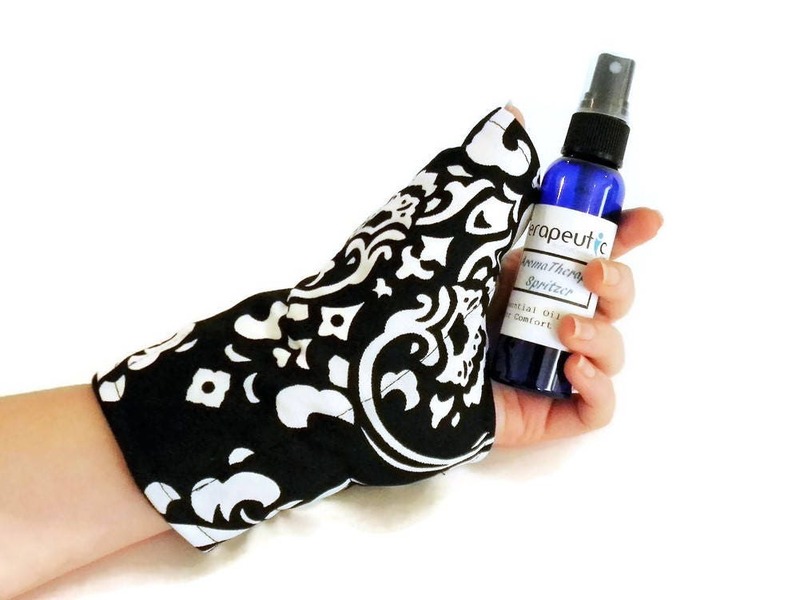 You can choose to have your thumb wrap scented with fresh herbs real essential oils, or leave it unscented. ***Aromatherapy heat pack spritzer in photo is not included*** but available for purchase separately in this listing. 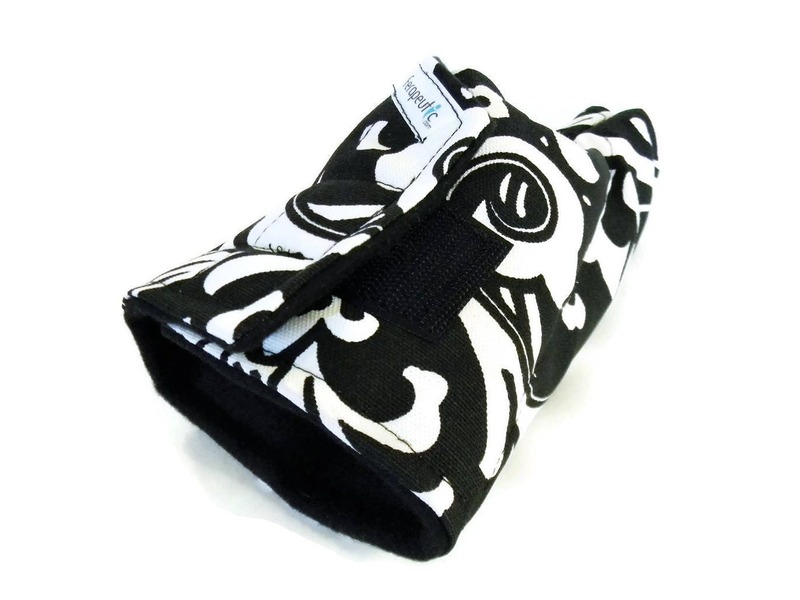 To see many more microwave heating pads and cold packs, check out our whole shop! Not intended as medical advice or treatment, simply used for comfort.